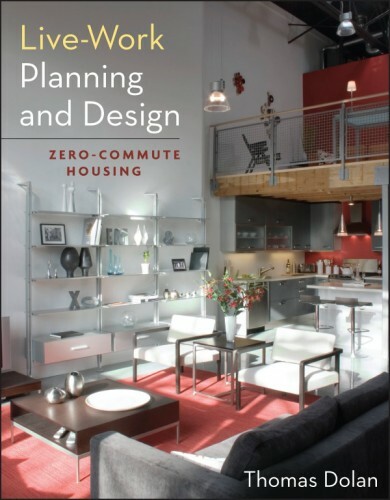 The first comprehensive treatment of the subject, Live-Work Planning and Design: Zero-Commute Living (Wiley, April 2012) is intended to be a go-to reference for planners, architects, developers, students, professors, and economic development & redevelopment professionals. The author, an architect, pioneered new construction live-work in the 1980s, and the book draws on his twenty-five years of experience designing, developing and coding live-work, mostly in California. Examples of live-work from throughout North America are cited in Case Studies, which describe and illustrate each live-work project and list its unique lessons. The two generations of live-work as we know them were each enabled by an important technology. First, the adoption of shipping containers meant that an entire building type, the multi-story downtown loft warehouse, became redundant. Artists, our best futurists, happily occupied them as—mostly illegal–live-work space starting in the 1960’s. Roughly three decades later, the computer modem coupled with scanning technology gave us the fax machine, closely followed by the internet, email, etc. Suddenly, working at home became affordable, possible, and, for many, preferable to a commute-driven life. This second generation, usually know as home office, constitutes the mainstreaming of live-work. The author has coined numerous terms to define live-work based on: 1) dominance of living vs. work use; 2) the degree of proximity between living and working portions of a unit; and 3) the project type, size and community context. In addition to defining these new terms, the author discusses the Flexhouse, Cohort Housing, and other development types that are inherently suitable for live-work. The design chapter contains a large number of case studies that highlight the unique needs of live-work and the physical form it takes: Use Types, Proximity Types and Project Types. The design of all of these types—and others, including the flexhouse–are treated in great detail, illustrated by the case studies. The chapter begins with a short history of live-work design and a description of the typical live-work user’s needs. 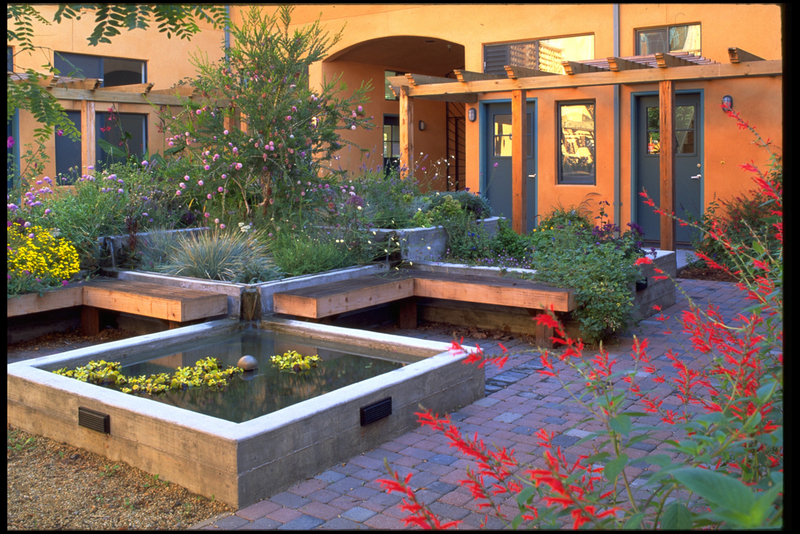 Treated as well are: design elements in live-work; design that accommodates walk-in trade and employees; and designing to address live-work’s greatest potential downside, isolation, by providing opportunities for interaction that lead to a sense of community. Guest authors Todd Zimmerman and Laurie Volk describe the unique nature of the market for live-work, both in new buildings, often “flexhouses” or as lofts in converted warehouses. They address both the end-user market for live-work as well as the investor market. Jackie Benson describes live-work’s unique qualities as a real estate product and offers advice on how to sell to both end users and investors, stating, “if you sell the buyer on the community, you’ve likely sold a unit.” Amen. As the term zero-commute housing implies, a live-work resident’s absence from a normal workplace environment can lead to feeling of isolation. For this reason, the need for informal interaction that arises in live-work provides a unique opportunity to build community, which—when properly designed or located–takes two forms; 1) Providing opportunities for interaction within the project, such as in the courtyard live-work communities pioneered by the author; and/or 2) Locating the live-work project on a great street, where cafes and other public venues are close at hand; or both. Planning for live-work includes considerations of where it is built, how it relates to its surroundings, and its potential is to enhance the life of the community in which it is located. In this chapter, live-work use types, proximity types and project types are examined from a planning perspective. Drawing from the author’s experience, development standards are proposed and discussed. Live-work impacts many social issues some of which are addressed in Chapter Six through regulatory solutions while others are the subject of case studies. Appendix A contains a series of tables leading to—but not prescribing, because planning regulation are always a very local game—a model live-work planning code. Live-work calls into question one of the central tenets of building codes, the division of building uses into “occupancies” that are normally required to be separated. 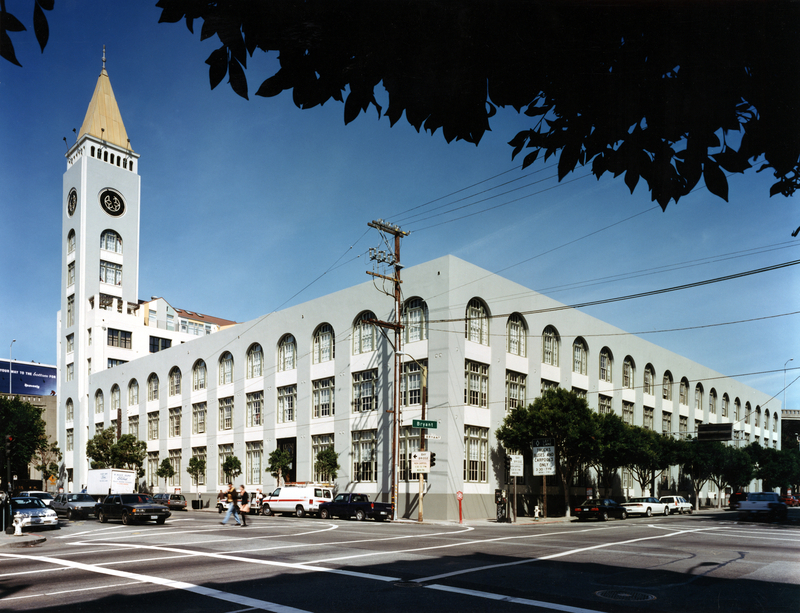 Until its recent inclusion in the International Building Code, live-work was not formally recognized as a type. Chapter Seven addresses overall building life safety issues in live-work, codes that apply within live-work units, and building code issues by project type. The Master Building Code Matrix, combined with a series of tables and an analysis of the new IBC live-work section in Appendix B, form a live-work building code system that will serve–with local calibration—to meet the needs of almost any live-work project type. 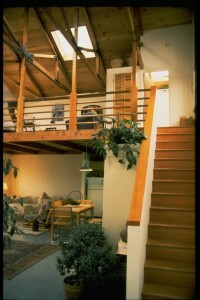 “ Live-work is a way of accommodating those who, by the manner in which they live, question the need to separate “life” from “work.” On the other hand, truly mixed occupancy buildings that are designed for living and working suit those who assume a physical separation between residence and work. 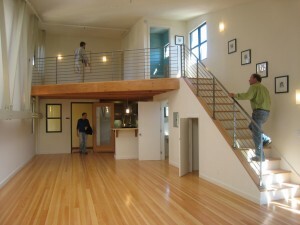 Such people are well-served by flexhouse live-works, which constitute a valuable reemergence of an ancient form that is well suited to a mixed-use neighborhood. “Live-work is both a new way and an old way to carry on one’s life. For some it is an attitude, for others it is a single building type, and for others it is a continuation of an age-old pattern. For many, it is and has been a path to stronger and more convivial communities and an integration of life’s previously dispersed functions.